Choosing replacement windows for your Nashville, Tennessee home can be a daunting task if the home improvement company you select isn’t knowledgeable, helpful, or committed to providing you with exemplary customer service and superior products. But how can you be sure the company you select for your replacement windows project in Nashville will live up to your expectations? The answer is easy: choose American Home Design. Peace of mind – We have a consistent A+ rating from the Better Business Bureau, meaning you can rest assured that our service and craftsmanship will exceed your expectations. We’re so sure that you will be satisfied with your replacement windows that we offer a lifetime workmanship warranty. Service backed by decades of experience – American Home Design has been in business since 1977 and has served over 30,000 satisfied homeowners in the last 30 years throughout Nashville, TN, and the entire region. Award-winning craftsmanship – We have been consistently ranked as Qualified Remodeler Magazine’s #1 Home Improvement Company in Middle Tennessee and have received Remodeling Magazine’s distinction as one of the top home improvement companies in the United States. 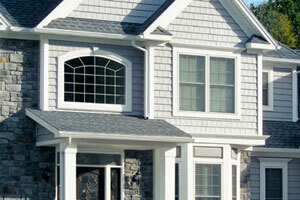 Best of all, American Home Design is the exclusive dealer of Preservation Replacement Windows in Middle Tennessee. Preservation Replacement Windows are specifically designed for southern climates, ensuring maximum energy efficiency and comfort inside your home year-round. Preservation Replacement Windows also come with a host of other features that will provide you with a lifetime of enjoyment. Preservation window frames are made with premium vinyl that is virtually maintenance-free and will never peel, rot, swell, or corrode. Additionally, these windows have passed a battery of tests to prove their resistance to air infiltration, water, and hurricane-force winds. Not only will Preservation Windows provide you with decades of easy operation, but they also come in a variety of styles to perfectly match your home’s architecture. With frames available in several exterior colors and interior woodgrain finishes, Preservation Windows can be completely customized to your personal taste. You can even choose from many different grid patterns, lock and handle finishes, glass designs, and much more. Contact us to schedule a free in-home estimate and to learn about our financing options for a wide variety of home improvement services, including bath remodeling and replacement windows in Nashville and surrounding areas.